July 23, 2015 - Like us now! 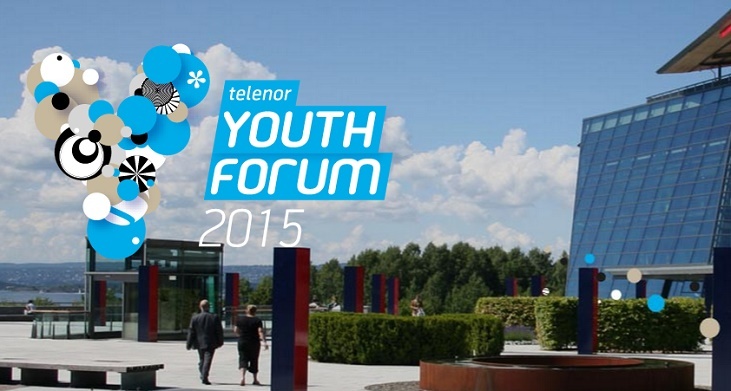 Telenor Youth Forum 2015 formerly known as Telenor Youth Summit is now accepting applications for their forum 2015 which will commence at Oslo, Norway at the annual Nobel Peace Prize Ceremony. The main idea behind this youth-centric forum is to gather champions under a banner who are passionate, opinion leaders and want to influence the future of Digital throughout the world. The new branding comes at a crucial time when the Telenor Group wants to encourage open dialogue, knowledge sharing and learning among the participants of this year’s Forum. Telenor Youth Forum winner of 2014, Syed Maaz Imran told TechJuice. Along with the new branding, Telenor’s focus for this year’s forum is – Knowledge for all. How can solutions be devised who have an impact on masses? How can education, knowledge be spread with equality and no hurdles? Telenor Group will be looking for candidates who have not only exceeded in their academic lives but have diverse background and experiences so that other participants can benefit from them as well. Telenor will be looking for exceptional individuals with extraordinary stories, insights and ideas for education. The key focus will be on the following questions. How does access to knowledge impact people, business and communities? Who benefits, who stands to lose, and how will societies transform when knowledge is easily and inexpensively available for all? What is the role of technology in bringing knowledge for all, and are there really limits to what technology can achieve? 26 shortlisted candidates from Telenor’s 13 local destinations in different countries will gather for the forum and Nobel Peace Prize Ceremony. How candidates will be selected? 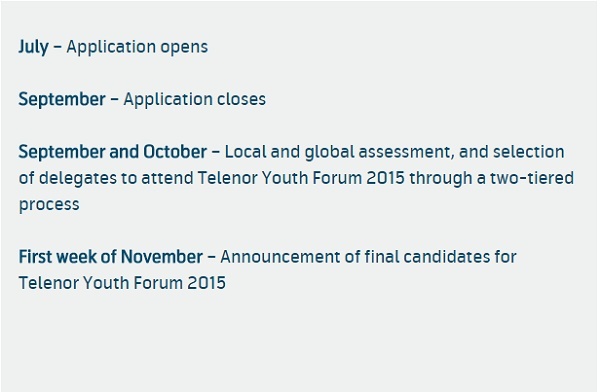 After the submission deadline, all the selected candidates will be informed through email from Telenor Group. The candidates will then be scrutinized by local judges and Telenor officials. If you are lucky to clear this highly competitive step, you will be selected for the trip to Oslo, Norway where you will be able to pitch your idea for finale in front of investors, judges and Telenor Officials. I can’t stress this fact enough that be clear and concise about the point you are trying to make. Your essay should have depth, substance and value. Explain in detail your idea. Read this. It’s not a PhD thesis, the more personalized and relatable your essay is, the more you are going to get the attention. Don’t write the essay in one go, take your time. Write an outline, then get back and include more material, then get back and improve it. When you feel it’s ready, show it to your peers for feedback and then after final revisions submit it. If you have any more questions, feel free to drop in the comments below.